Charles Hoey Park is located between Canada Avenue and Duncan Street in downtown Duncan. It is named for Major Charles Ferguson Hoey, V.C. 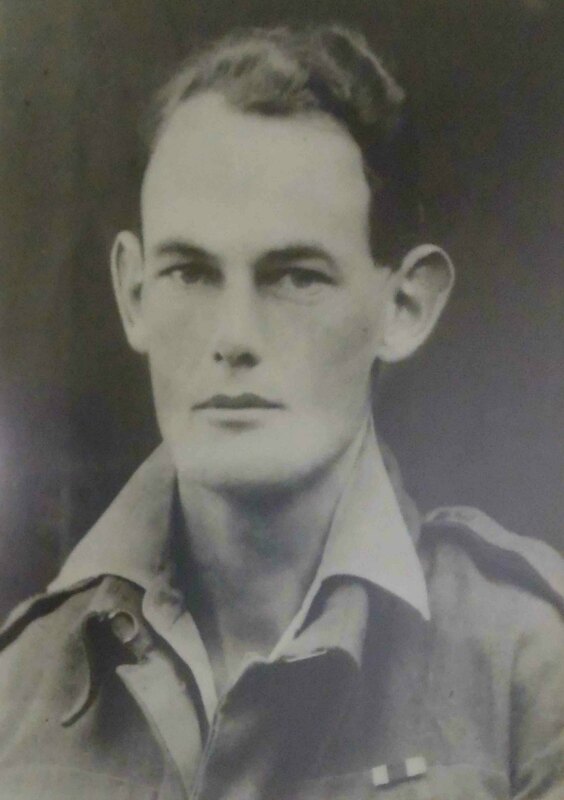 (1914-1944), a native of Duncan who was killed in action in Burma (now Myanmar) in 1944 while serving with the British Army and was awarded a posthumous Victoria Cross for most conspicuous bravery. 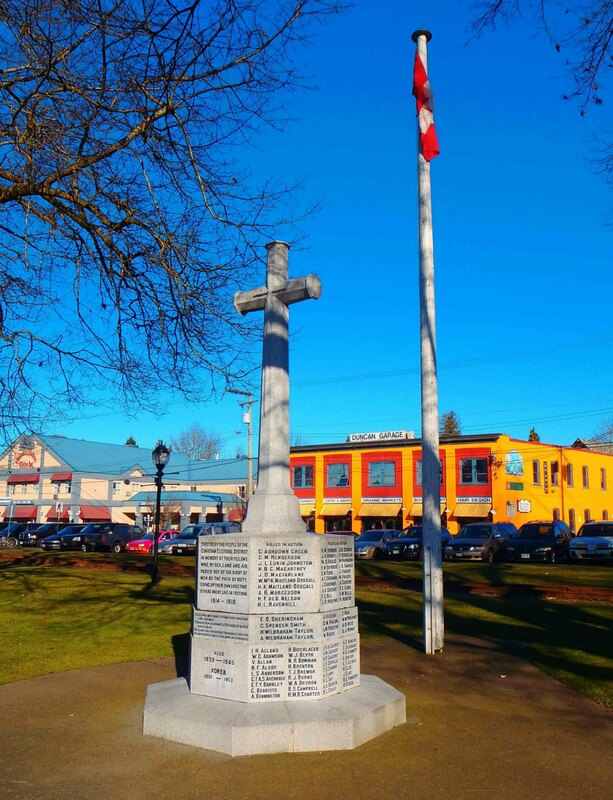 The City of Duncan’s Cenotaph, the memorial to Duncan’s citizens who died in the service of Canada during the First World War, Second World War and the Korean War, is located in Charles Hoey Park on Canada Avenue, near Station Street. The Cenotaph lists the names of all the citizens of Duncan who died while serving in Canada’s military during wartime. See our page on the Duncan Cenotaph for more information. Cenotaph, Charles Hoey Park, Canada Avenue, Duncan, B.C. The main building in Charles Hoey Park is the former Esquimalt & Nanaimo (E&N) Railway Station, now home to the Cowichan Valley Museum. The E&N Railway Station was built in 1912. 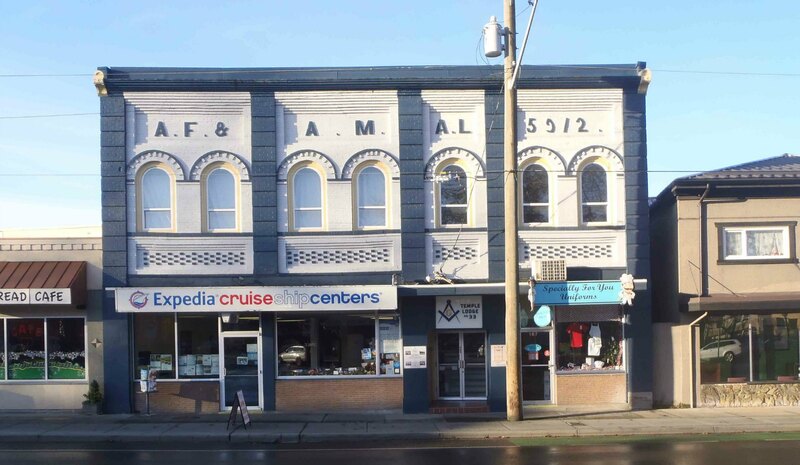 It is home to the Cowichan Valley Museum…Read More…. 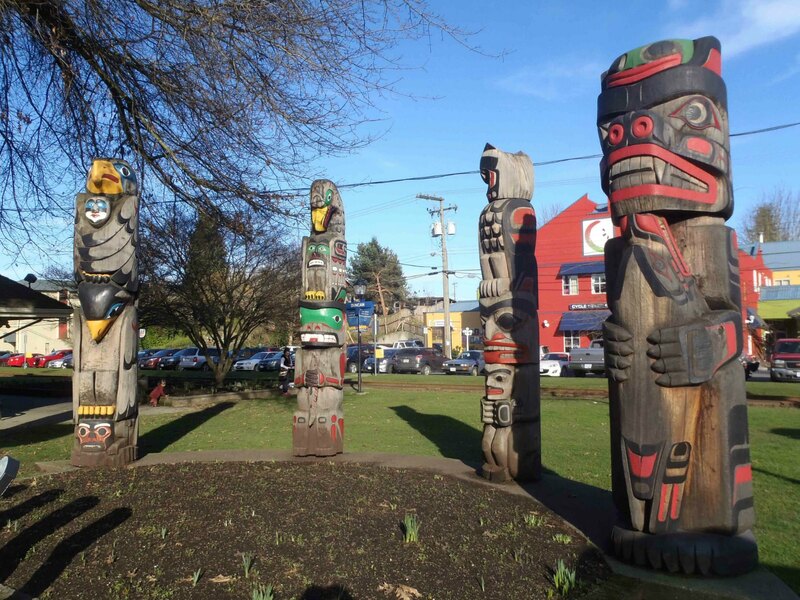 Charles Hoey Park also features several totem poles, all part of the City of Duncan’s City of Totems collection. 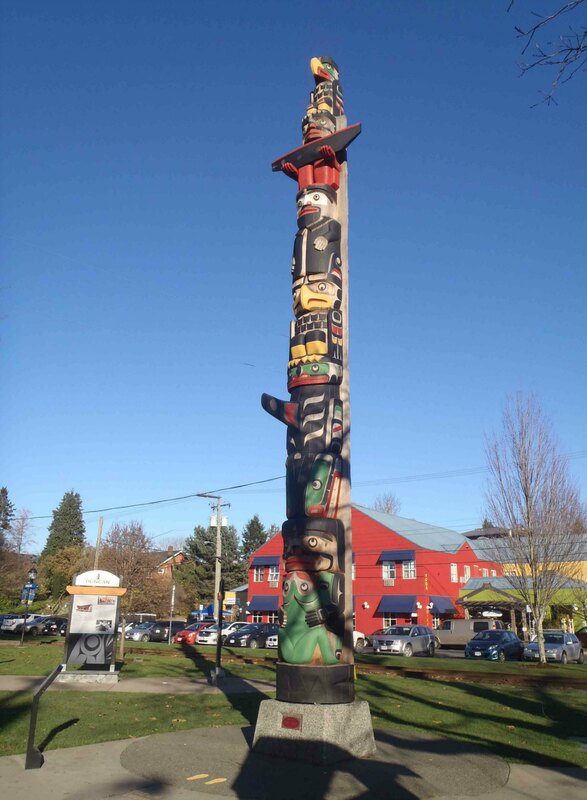 The most recent totem pole on display in Charles Hoey Park is the Centennial Pole, erected in 2012 to commemorate the 100th anniversary of the City of Duncan’s incorporation as a city. There are two other totem pole displays in Charles Hoey Park, each featuring four separate poles. The first of these displays is between the Centennial Pole and the former E&N Railway Station. This display features four individual totem poles: Kwagu’l Bear Holding A Seal, Owl Pole, Friendship Pole and Transformation In Life. 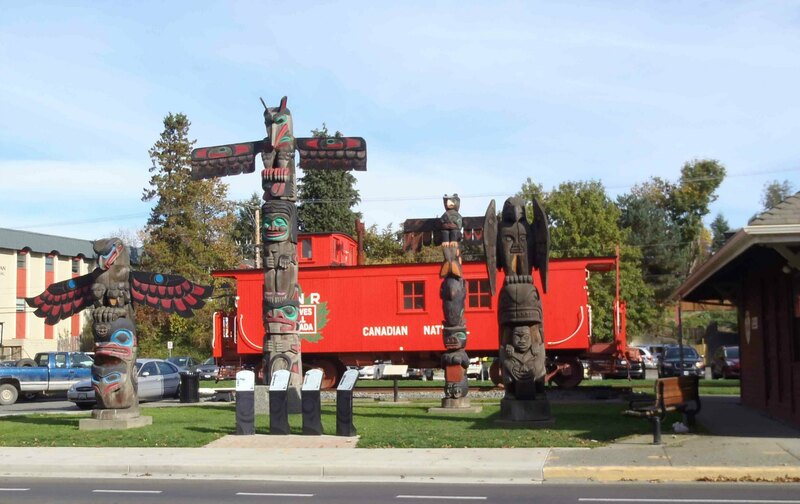 The second totem display in Charles Hoey Park is on Canada Avenue north of the former E&N Railway Station. This display features four totem poles: The Feast, Raven’s Gift, Pole of Wealth and Transformation. There are some historic buildings on Canada Avenue and Duncan Street, the streets bordering Charles Hoey Park. 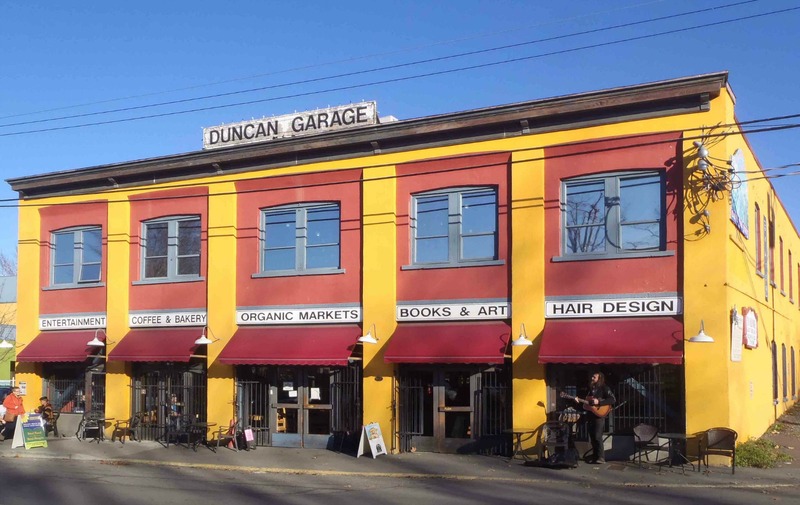 Duncan Garage, Duncan Street, Duncan, B.C.